Twitter can be a little bit crazy. By default, it’s like a large public shouting match. Anyone can weigh in, scream something, wave a sign, and generally interact with whoever else they want. This can cause some issues. 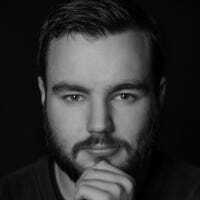 Although Twitter has some broad rules—like no abusive behaviour, threats, harassment, hateful language, leaking private information, and so on—they’re not very well enforced. No one is reviewing Tweets in real time, so it’s easy for someone to set up an account and send hundreds of abusive messages before they’re shut down. The only way these people get stopped is by reporting their Tweets to Twitter’s team of moderators: if they agree they’re breaking the rules, some action will be taken. 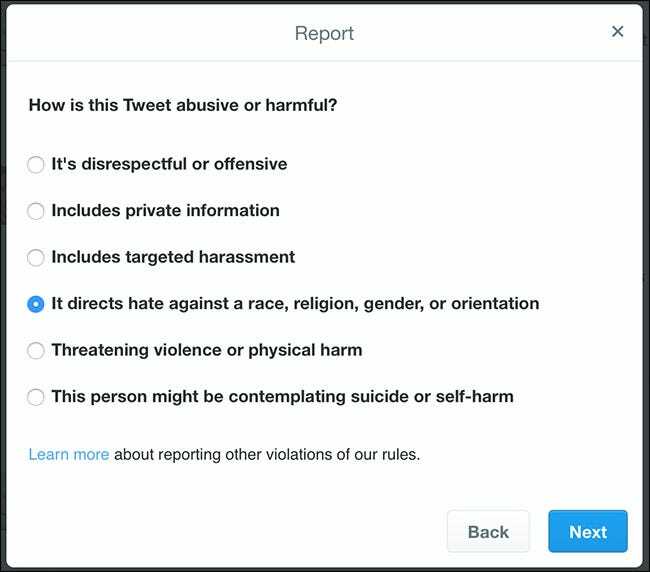 So, here’s how to report a Tweet. Find the Tweet that you want to report. I’m using this inoffensive example from my colleague Justin. Click or tap the arrow in the top right corner of the tweet. 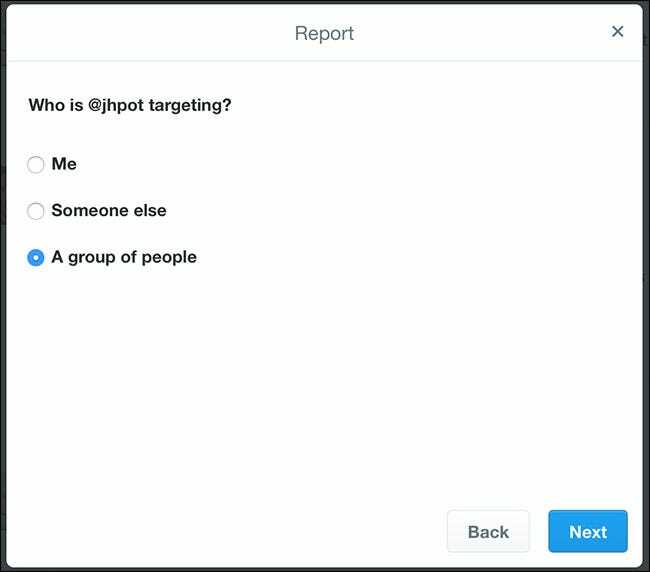 Then, select Report Tweet from the dropdown. Obviously, the first one isn’t a reason for reporting things. Instead, block or mute the user instead. 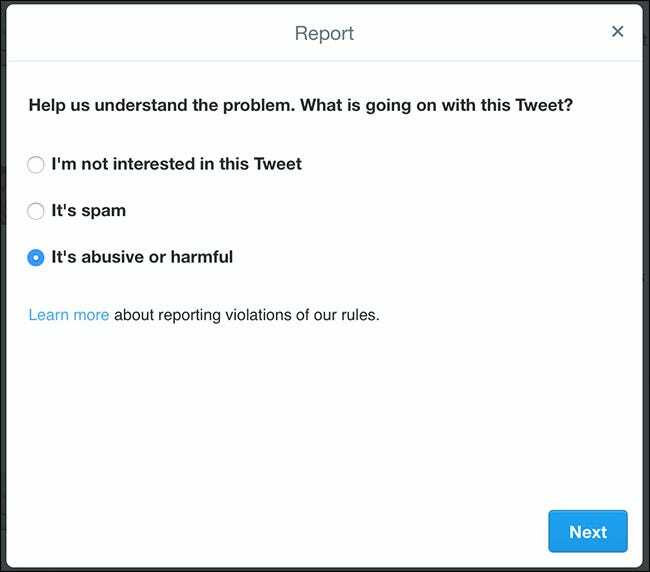 Otherwise, select the reason you’re reporting the Tweet and click or tap Next. Once you’ve selected a reason, you’ll need to provide some more information. Keep checking the right boxes and selecting Next. …as well as add more Tweets to the report if there’s a pattern of abuse. 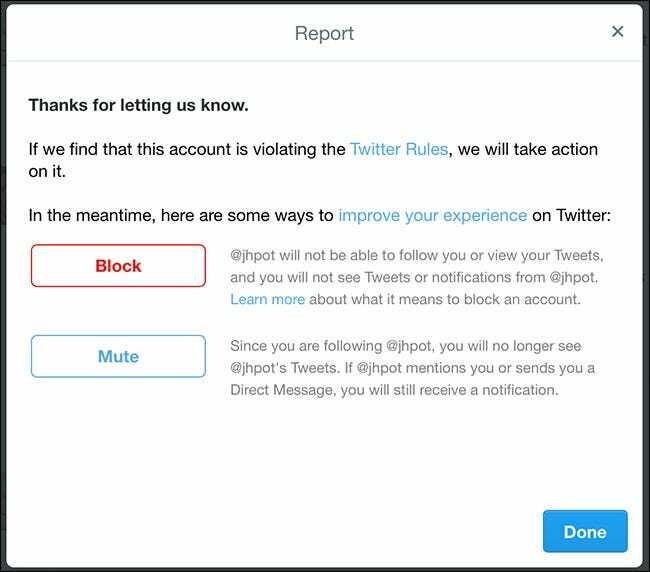 When you’re done, you’ll also be given the chance to Block or Mute the user who’s Tweet you’re reporting. Twitter’s team will now review the report. If they agree that it’s against Twitter’s rules, some action will be taken. 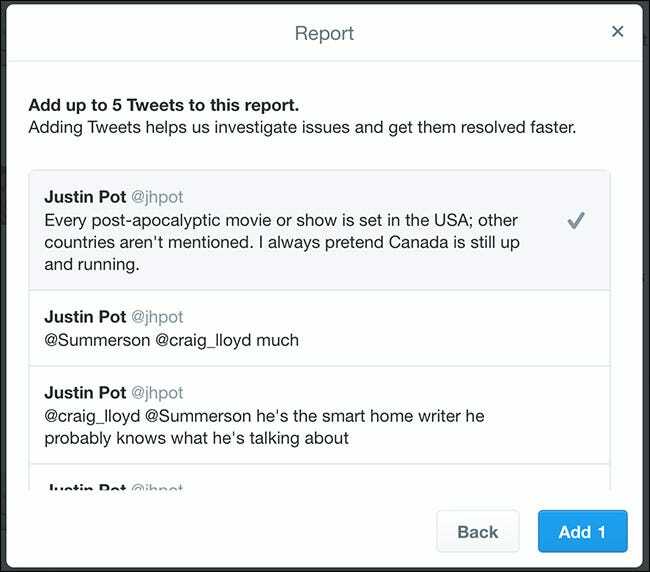 Unfortunately, Twitter continues to have an abuse problem, so there’s no guarantee that reporting one Tweet or one user will stop things.